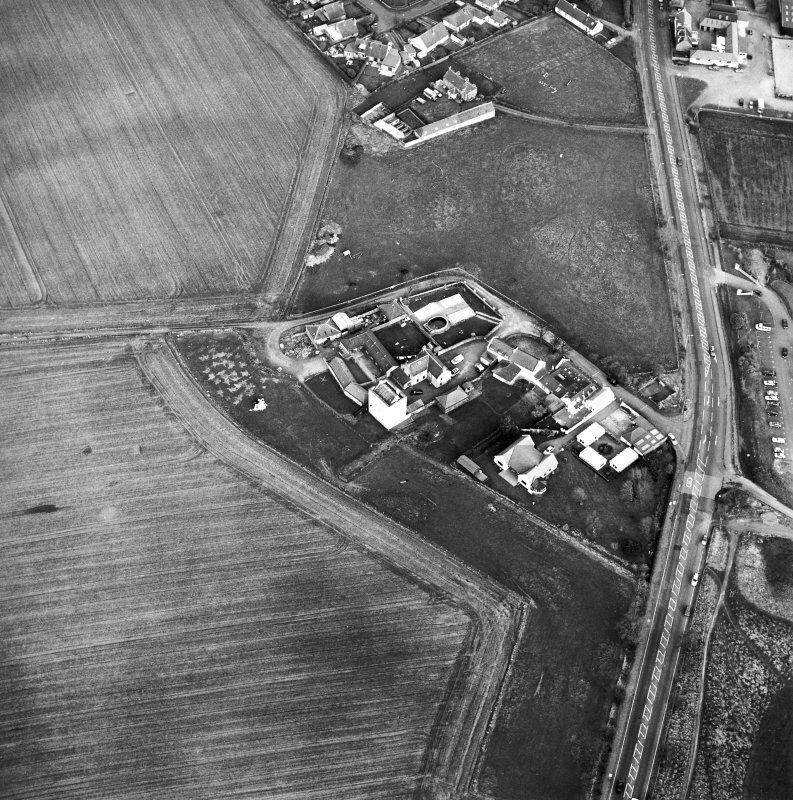 Oblique aerial view of Liberton Tower and Liberton Tower House Farm, looking S.
Oblique aerial view of Liberton Tower and Liberton Tower House Farm, lookingg SW.
Oblique aerial view of Liberton Tower and Liberton Tower House Farm, looking NW. 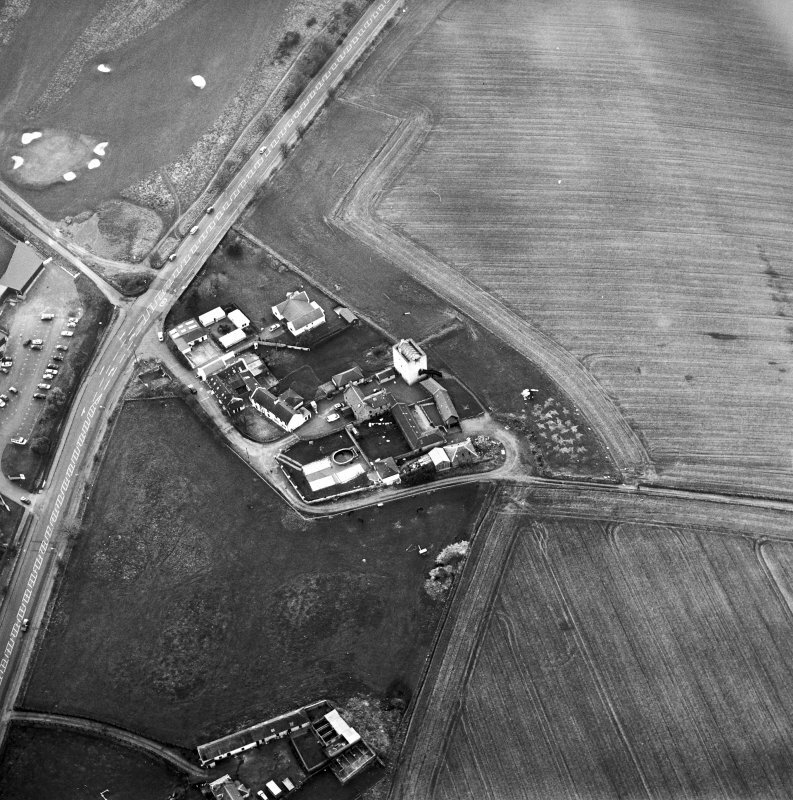 Oblique aerial view of Liberton Tower and Liberton Tower House Farm, looking N.
Oblique aerial view of Liberton Tower and Liberton Tower House Farm, looking WSW. 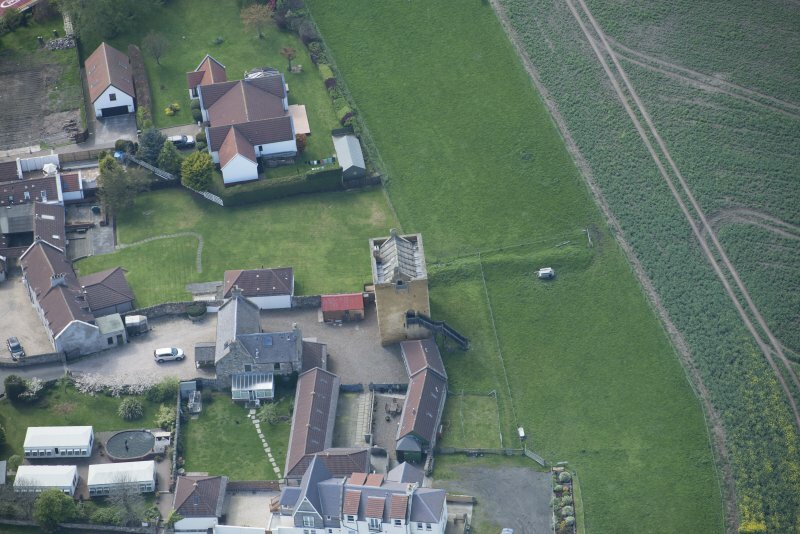 Oblique aerial view of Liberton Tower and Liberton Tower House Farm, looking NNW. 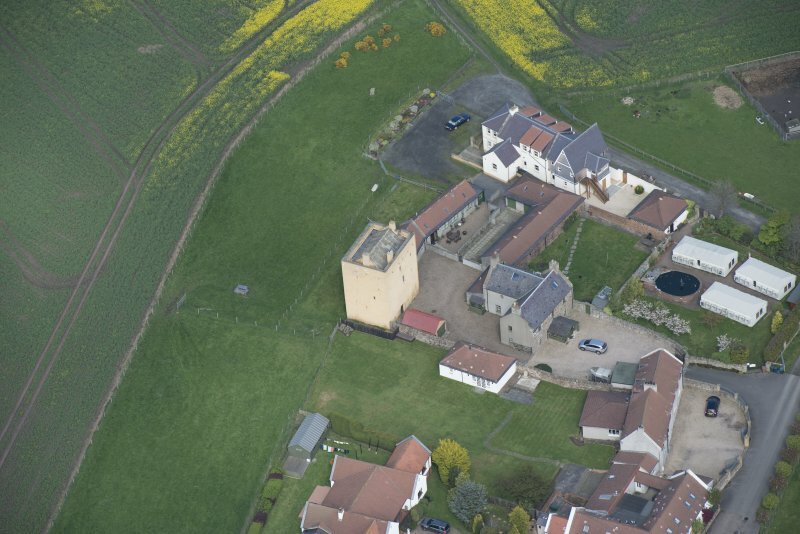 Oblique aerial view of Liberton Tower and Liberton Tower House Farm, looking W.
Oblique aerial view centred on the tower-house, taken from the ESE. 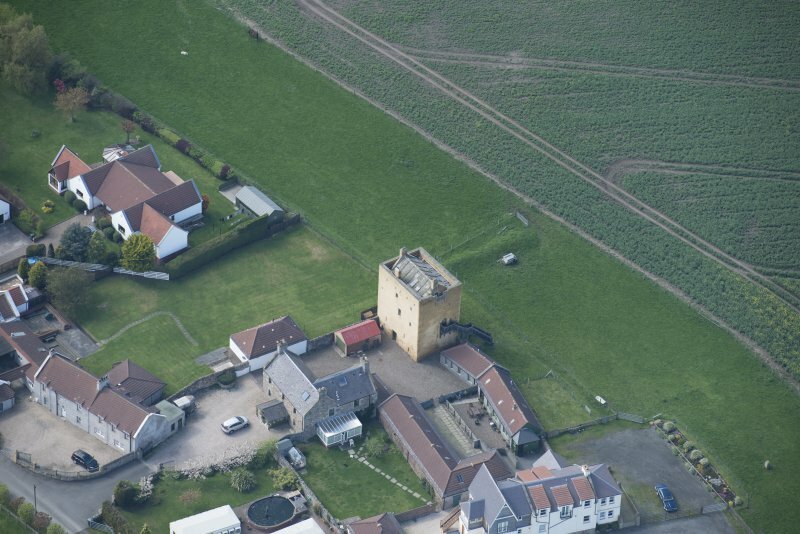 Liberton Tower, still very complete, was built in the 15th c. It is oblong on plan, 34 3/4' E-W by 25 3/4'. 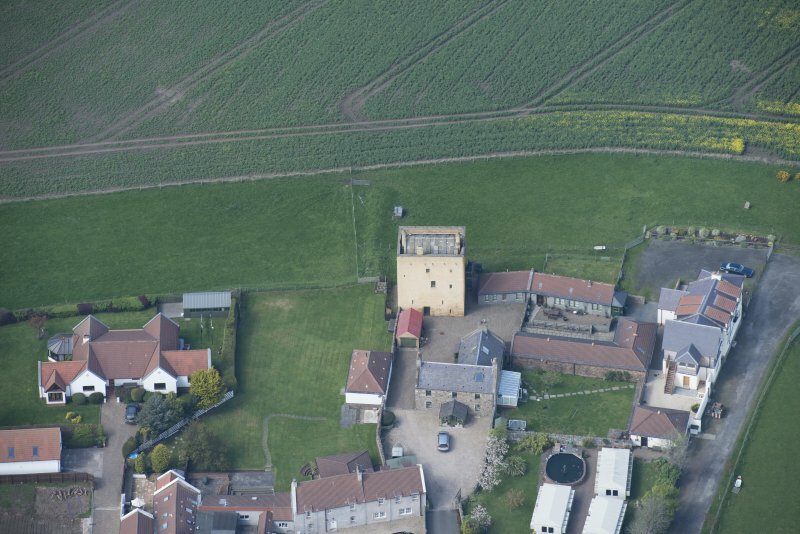 There are four storeys beneath the wall-head, which terminates in a walk 35' above the ground. There may have been a garret within the roof. 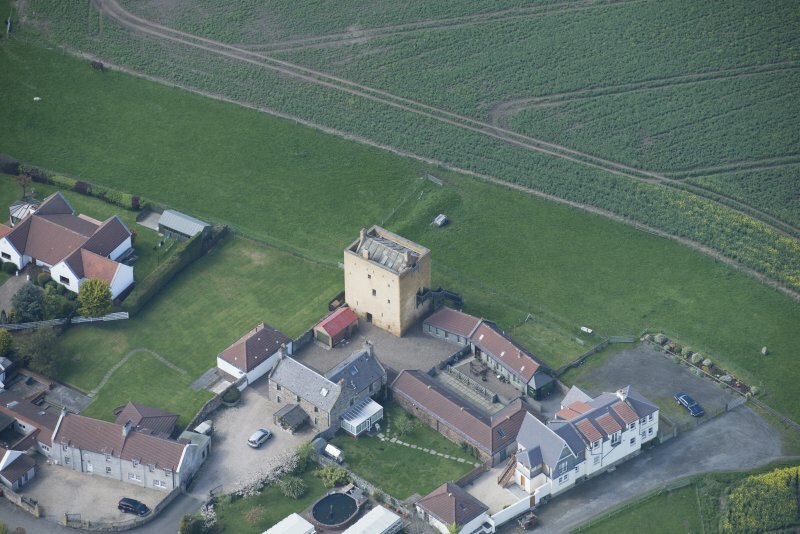 Liberton Tower is as described. NT 265 696. 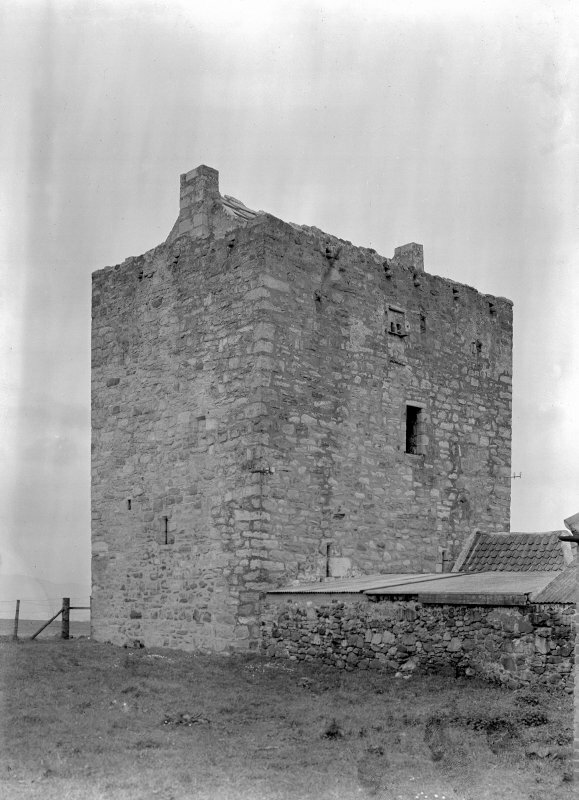 Extensive refurbishment of the derelict tower was monitored and selectively recorded. 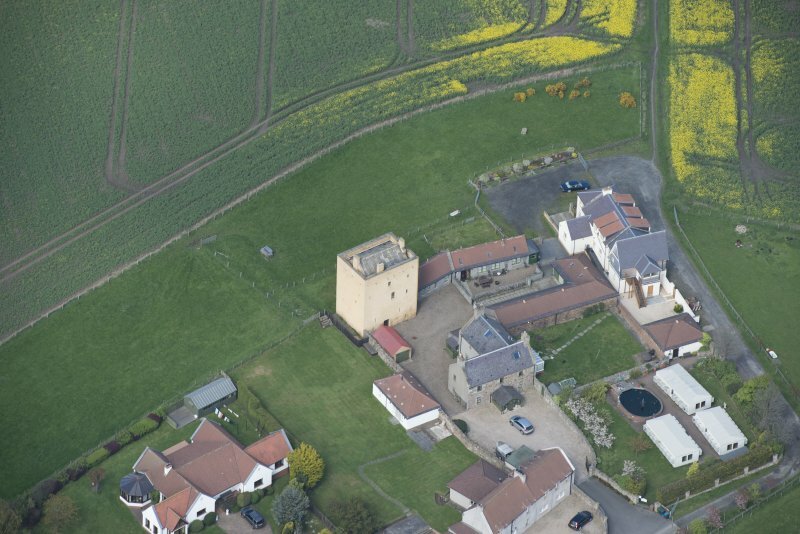 Exterior groundworks required the open-area excavation of remains to the N of the tower. 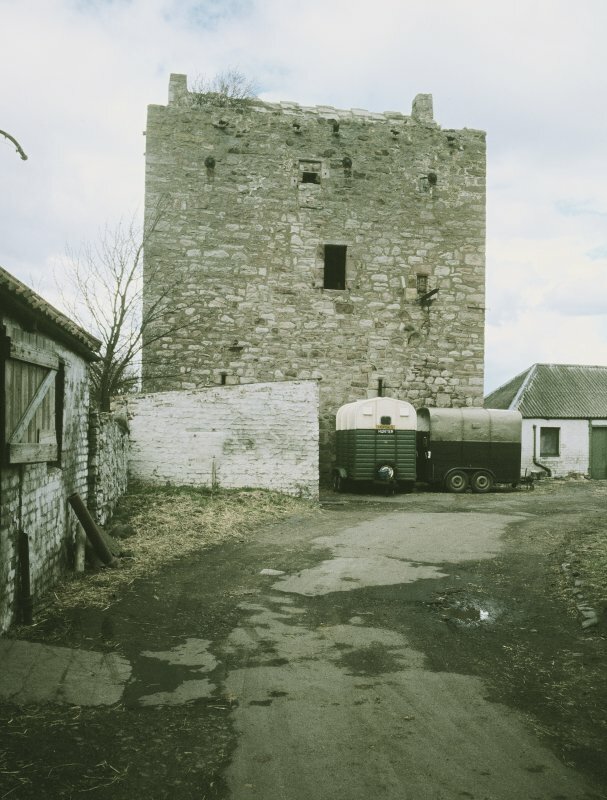 Architectural recording of the standing structure, a well-preserved mid-15th-century tower house of the Dalmahoy's, was extended to the entirety of the interior and selected sections of the exterior. 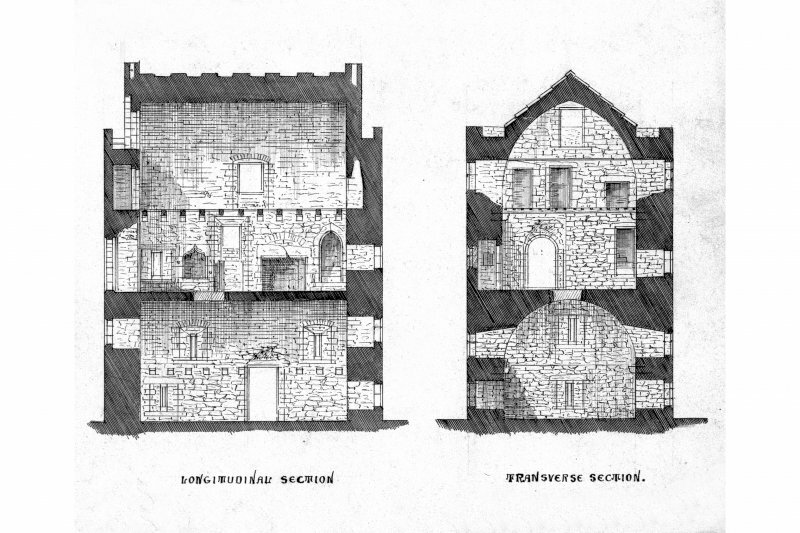 Various unrecorded features were identified, including a well-preserved slopsink with exterior spout, the route and outlet of the garderobe shaft, and the original form of three principal windows (with high internal sills). It was discovered that the ground-floor entrance had been an insertion without a predecessor, and that much of the E wall had been rebuilt within the upper interior. 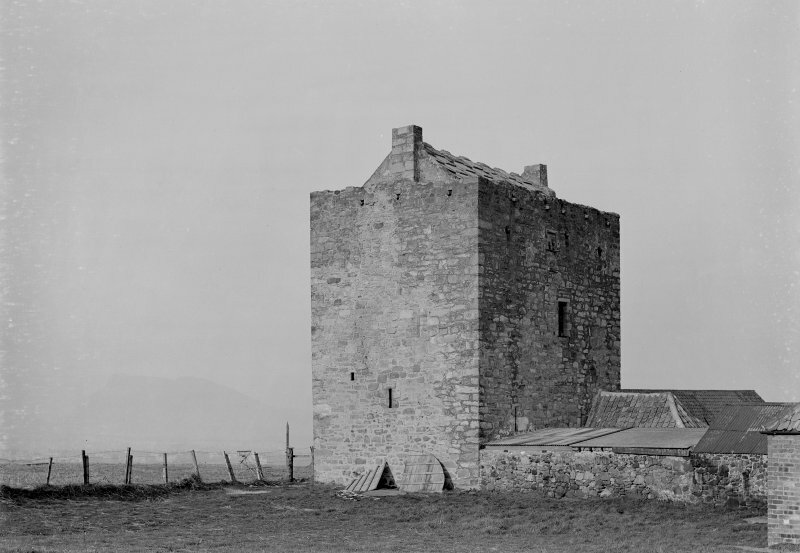 Details of the first-floor entrance demonstrated two former arrangements, the original where a drawbridge had been pivoted at the threshold and raised by means of chains rising into the tower through a rainure, and a later fixed stair with handrails. 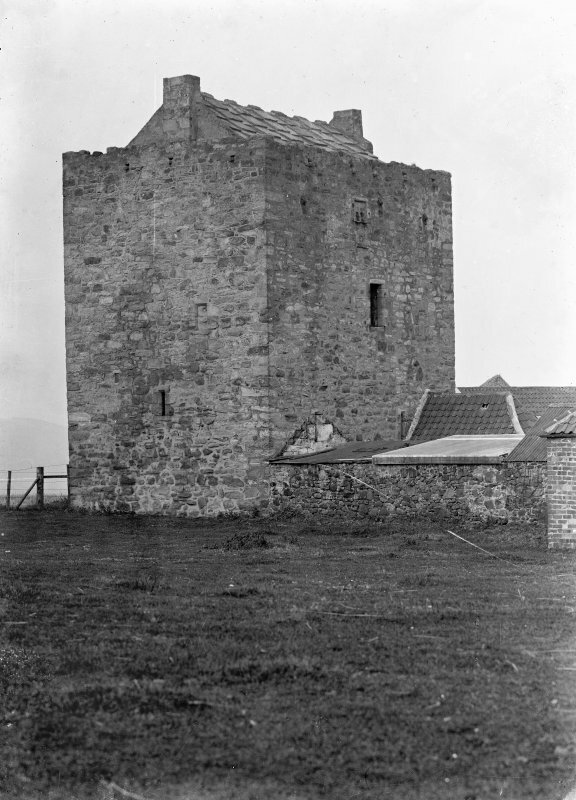 It was found that the original parapet had been removed in its entirety and that the tower had undergone an extensive programme of repair in the earlier 19th century. Exterior excavation revealed a courtyard paved with large cobbles laid in panels individually inclined for expedient rainwater runoff. 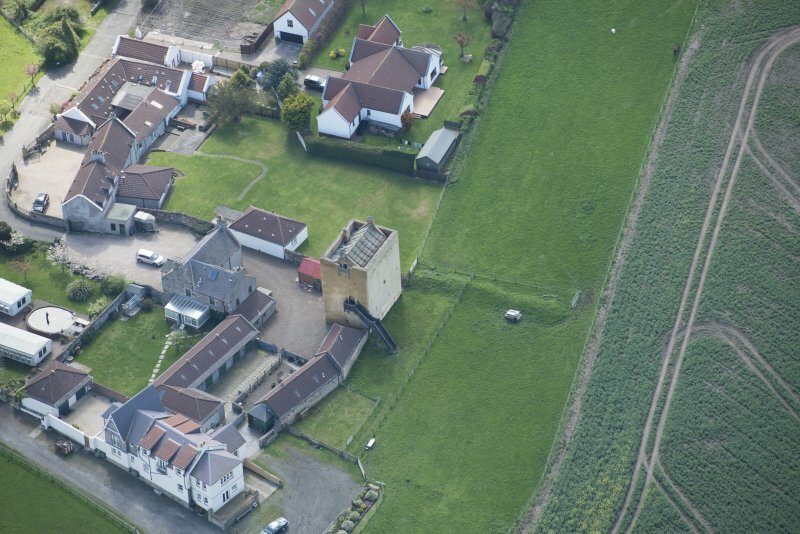 The courtyard was bounded by a range to the NE, and a wall or further range to the NW. 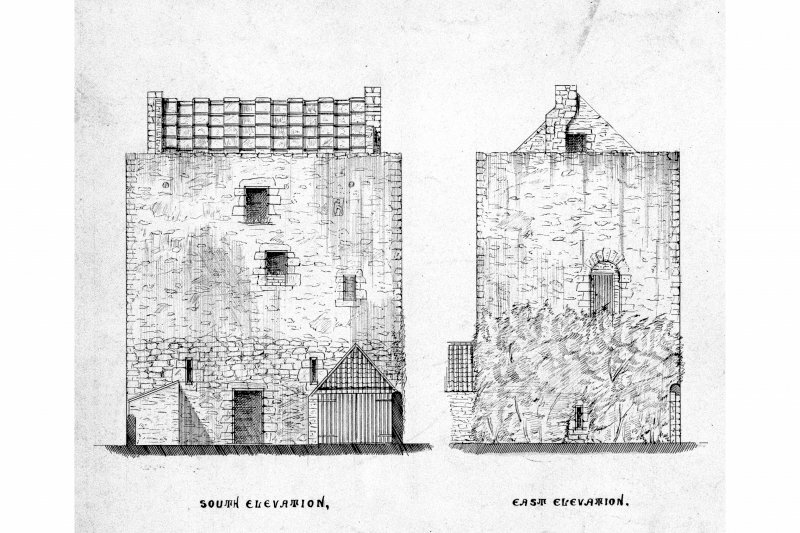 These converged upon the tower which formed the centrepiece of the splayed courtyard ensemble. An open stone-lined drain ran along the N wall foot of the tower. 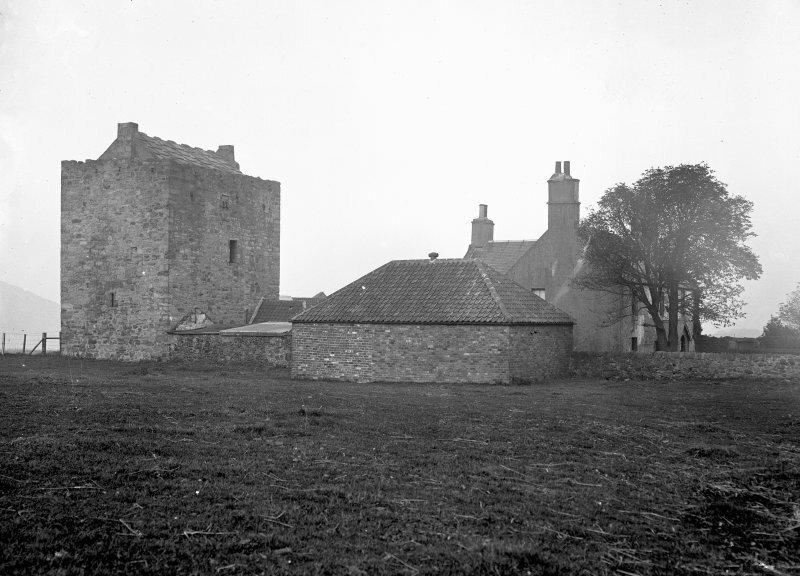 Substantial charcoal deposits, a smashed vessel on the courtyard surface, and the immediate subsequent removal of the courtyard buildings suggest a violent event or episode. 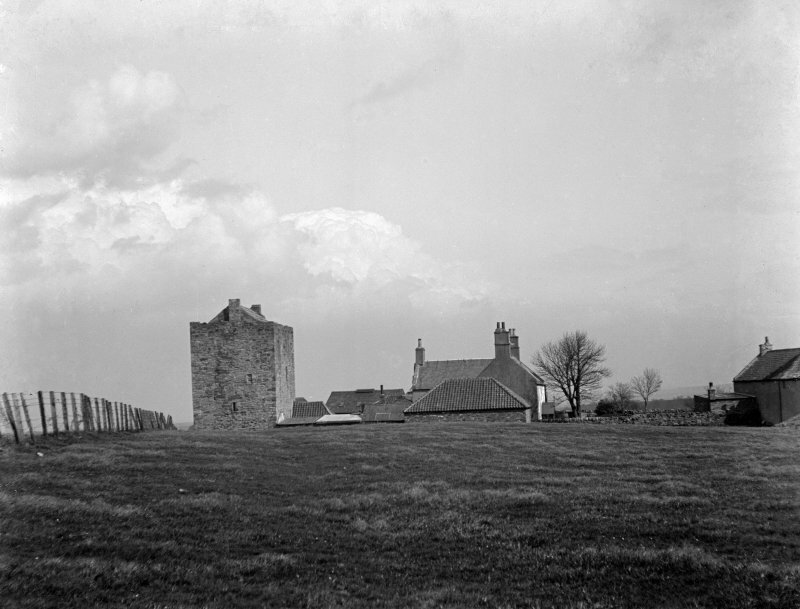 This can with some probability be linked to the Civil War campaign of 1650 where the tower occupied a front line position between the forces of Cromwell and the defenders of Edinburgh under Leslie. 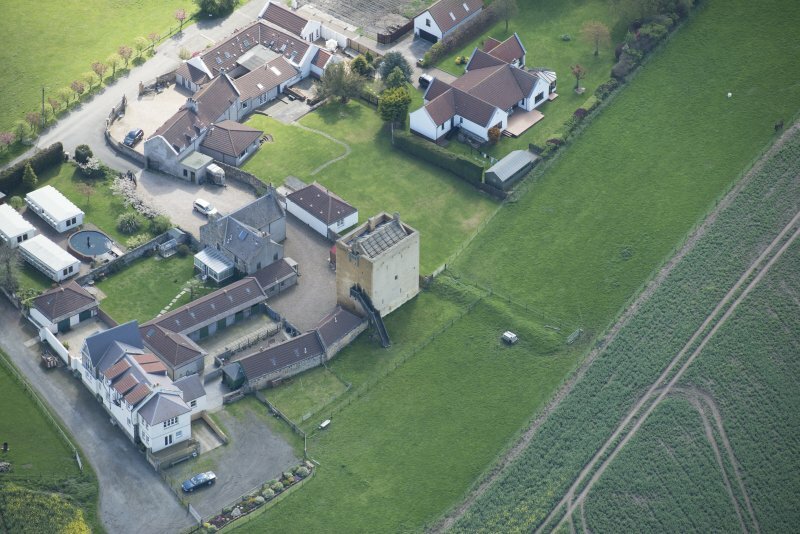 The removal of the parapets, structural damage to the tower and finds of cannon balls in the immediate vicinity in the 19th century may also be linked to this event. The base of the garderobe shaft produced four sherds of an early 16th-century glass tazza (pedestal bowl) of Venetian origin. 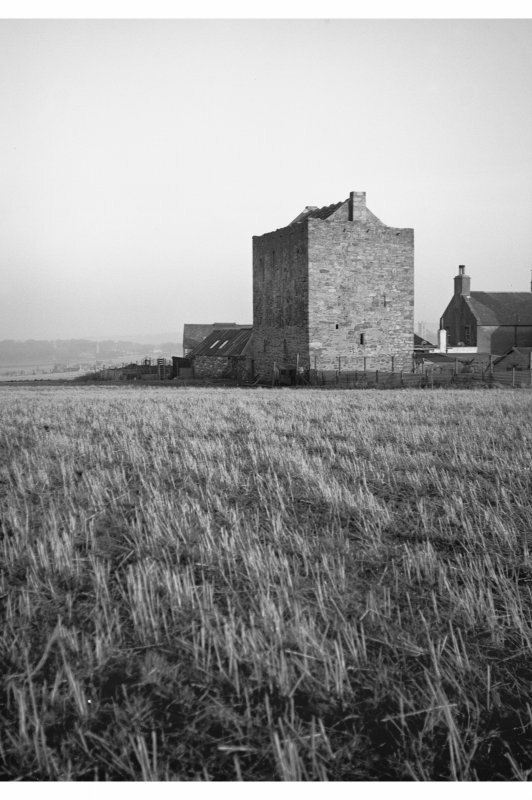 Sponsors: Historic Scotland, Castles of Scotland Preservation Trust. Descheduled (former serial no. 1201). Information from Historic Scotland: Certificate of Exclusion from Schedule dated 28 October 2008.